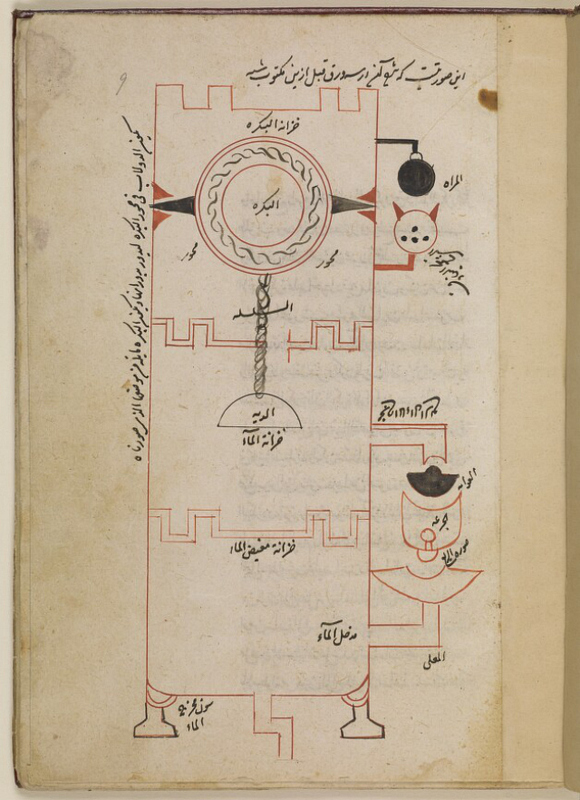 A new online portal created by the British Library and Qatar Foundation features 25,000 pages of medieval Arabic manuscripts centered on the history of science. 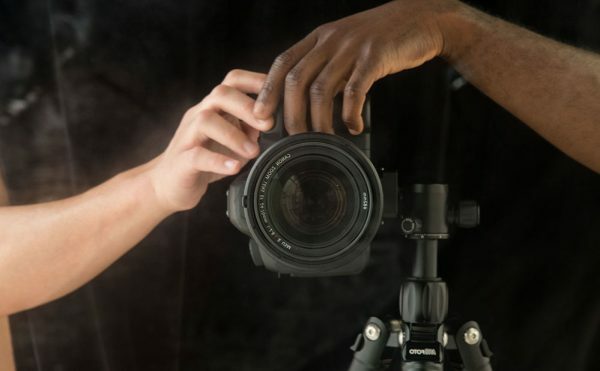 The recently launched Qatar Digital Library includes British Library materials not previously digitized, along with thousands of pages related to culture of the Gulf region. 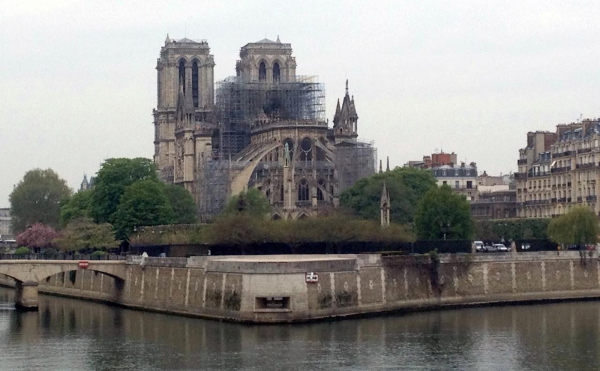 Among the science texts are some that reveal the incredible history of water clocks, one of the earliest timekeeping technology. 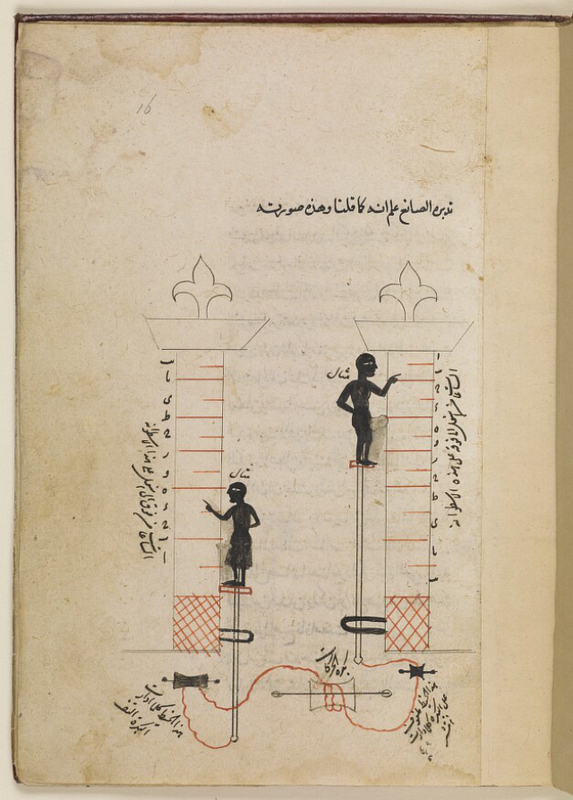 The form of the water clock (binkām) started simply enough, but as the diagrams from one 16th-century work show, things got incredibly elaborate over the centuries. 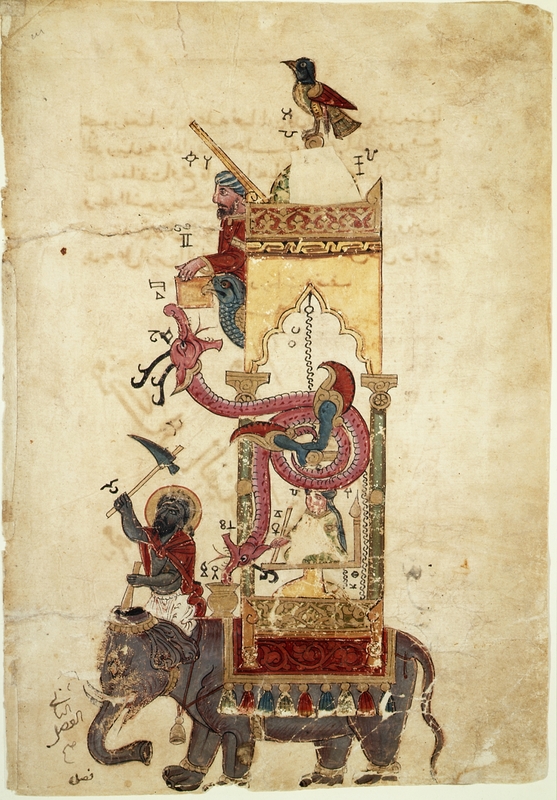 Attributed to the ancient Greek scientist Archimedes, the Kitāb Arshimīdas fī al-binkāmāt written in Arabic, Farsi, and Persian is more likely a compilation of previous work from Greece, Persia, and other Arabic and Byzantine sources. 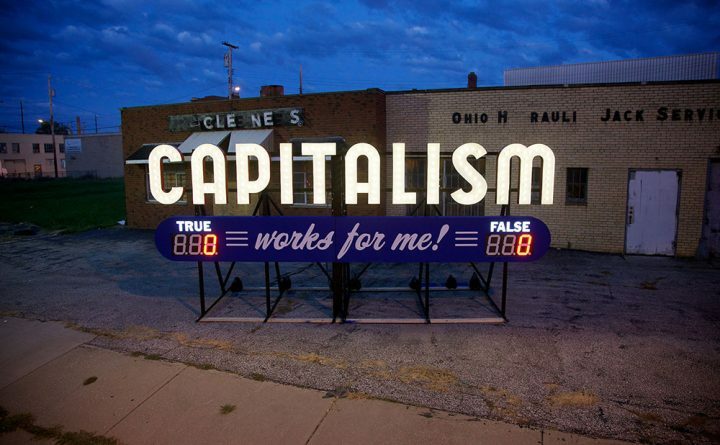 The water clocks combined hydraulics, gears, automata, and living animals in mechanisms like pipes fueling the signs of the zodiac and birds chirping on the hour as snakes emerge from indentations. 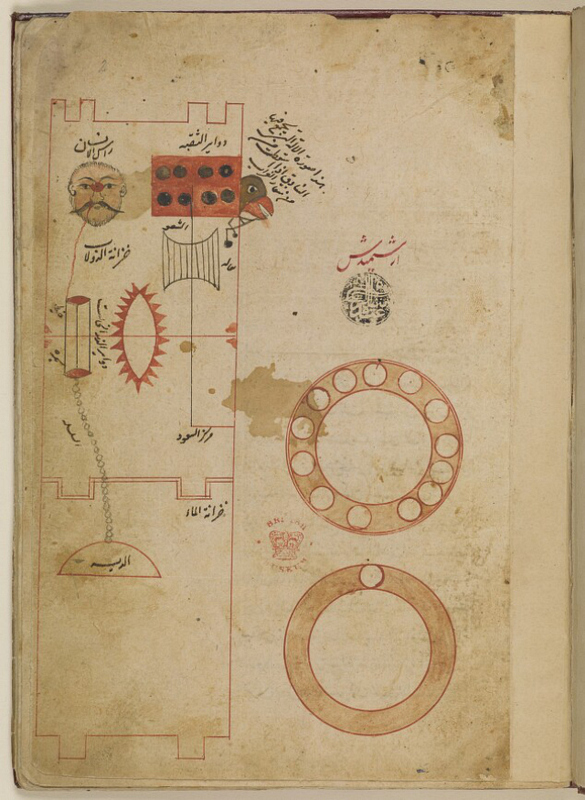 Beyond wondrous water clocks, the Qatar Digital Library also features intriguing documents like alchemical treatises from the 11th–12th centuries, astrolabe diagrams, mathematics texts, astronomical charts, and historic mapping from the 9th to 19th centuries. 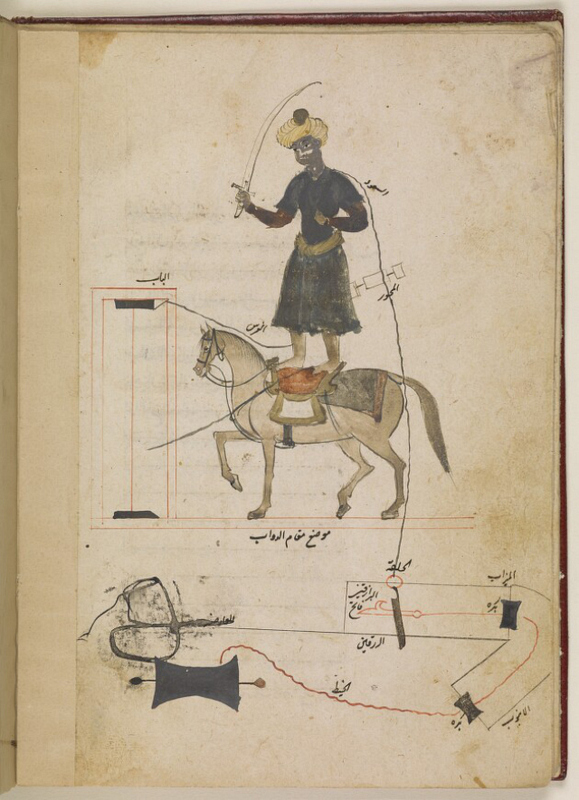 Below are more illustrations from the 16th-century water clock manuscript, including a robotic executioner on horseback, a bird that drops cymbals as a man’s eyes change color each hour, and two human automata who rise and fall while pointing at the time. 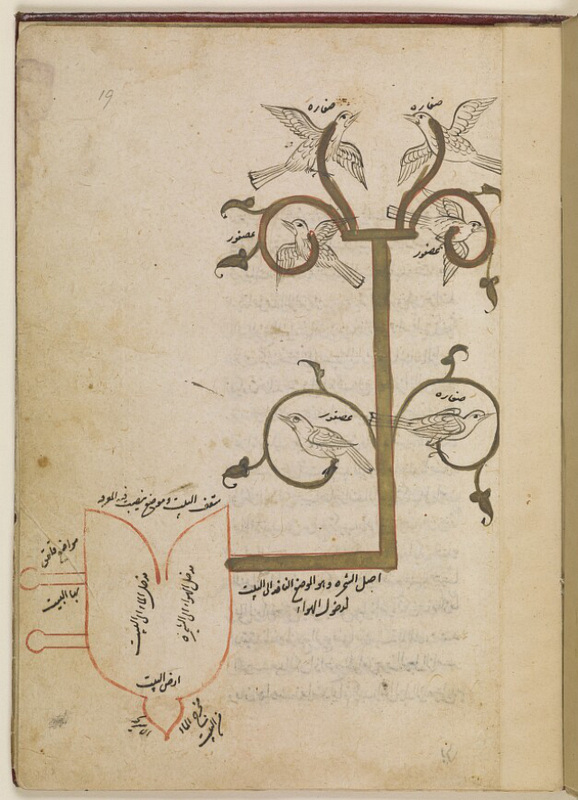 View more medieval Arabic scientific documents and other historic manuscripts at the Qatar Digital Library.